Apple is notifying some of its customers this week that it will be unable to meet quoted delivery times for its new 16GB iPod nanos, fueling rumors that the company was forced to make a last minute change to the product line, possibly at the hands of rival Microsoft. In an email to customers Thursday, the Cupertino-based company informed online shoppers in the UK that delivery of 16GB iPod nanos originally slated to arrive between September 17th and 22nd won't ship until the 25th. They're now scheduled to land on customers' doorsteps "on or before" September 29th. "Please note that these dates are estimated lead-times only. Once your order has dispatched, you will receive a Dispatch Notification email, which will provide you with detailed delivery information," Apple wrote. "Your business is very important to us, and we apologise for any inconvenience that this change may cause." In the same email, Apple contends that demand for the new iPod nano "has been higher than anticipated" and that it's shipping units "as quickly as possible, but cannot meet the dispatch" dates originally quoted. That said, there's been an increasing amount of evidence to suggest that 16GB models remain unavailable simply because Apple's original plans for the fourth-generation iPod nano leading up to last Tuesday's event called for only 4GB and 8GB configurations. As such, it's likely manufacturing ramp of the 16GB models didn't begin until just recently because Foxconn, Apple's iPod manufacturing partner in the East, was busy pumping out 4GB and 8GB models instead. Though unannounced last Tuesday, those 4GB models mysteriously began cropping up at European retailers earlier this week. On Wednesday, the German blog Cyberbloc quite confidently claimed that that it was told the 4GB models were the result of a production fault that stemmed from Apple's initial intention of marketing only 4GB and 8GB models. The official response from Apple was on the matter was that it decided to produce a "limited number of 4GB iPod nanos for some international markets." The statement suggests the 4GB models were the afterthought as opposed to the 16GB model, but doesn't explain a motive, why availability of the 4GB models will soon cease, or why they're priced relatively close to the 8GB model. Separately, AppleInsider has learned that some Apple retail stores actually received marketing material last week for the fourth-generation nanos listing only 4GB and 8GB models, which they were then asked to return. Those materials were said to have priced the players in line with the third-generation nanos —$149 for a 4GB model and $199 for the 8GB. This has led some industry watchers to question whether it was Microsoft, for once, who caught its longtime rival to south off-guard and possibly pressed its margins in the process. On Monday September 8th, just one day before Apple chief executive Steve Jobs announced the fourth-generation iPod nano, reports surfaced on Microsoft's plans to introduce an 8GB Zune at $149 and a 16GB Zune at $200 around the same time. Jobs isn't one to let himself be shown up on capacity claims. "Both of these are shipping out of our factories. The 8-gig should be in stock the next few days," he said while announcing the new nanos last Tuesday. "The 16-gigs, uhh, hopefully this weekend. Early next week at the latest." Both of Microsoft's new Zunes contain Wi-Fi functionality and other features absent from the new nanos. Meanwhile, Apple's online store in the US currently lists immediate availability of the 8GB nanos, but a 2 to 4 day wait for the 16GB models. 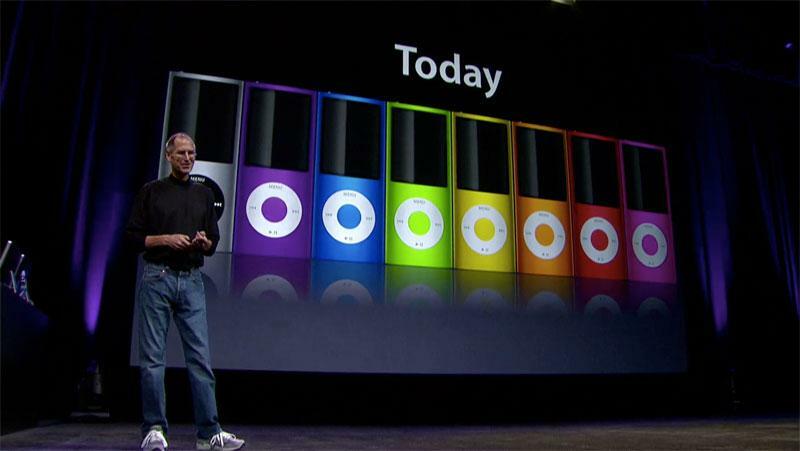 Apple retail stores contacted by AppleInsider said they just began receiving 16GB nanos today, but only in a few colors. If industry speculation is accurate, and AppleInsider believes the evidence supports the case, then Apple's rumored last-minute switch-up may have saved the company same face. Even given the higher capacity nanos, the Associated Press on Thursday ran a joint review of the new Microsoft and Apple players, noting that updates to both lines have made the buying decision a difficult one. "The Zune has a long way to go to become a threat to the iPod," wrote the news agency's Rachel Metz. "But it is getting closer."